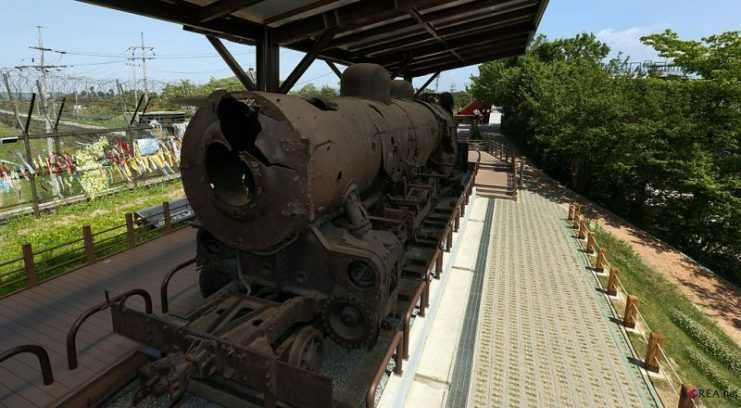 A steam locomotive broken nearby Jangdan station which is located at DMZ. Now it is exhibited at Imjingak. During the war, Han operated his train, conveying supplies for UN troops up as far as Pyongyang. Although he rarely saw fighting, he witnessed the drastic effects of it. 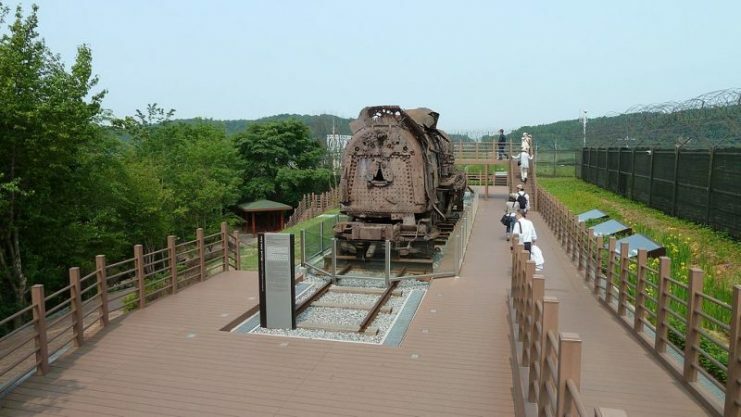 A trip to Imjingak park will transport you back to the years of the Korean War. Located on the banks of the seventh largest river in Korea and not far at all from the Korean Demilitarized Zone (DMZ), Imjingak park holds several monuments and statues depicting the stark reality of the war between the North and South. The Korean War is, indeed, an event that has become an everlasting smear on the pages of Korea’s history. With over a million lives lost and the scars of a three-year-long struggle lingering for decades, the stories from this time will never cease to be told. 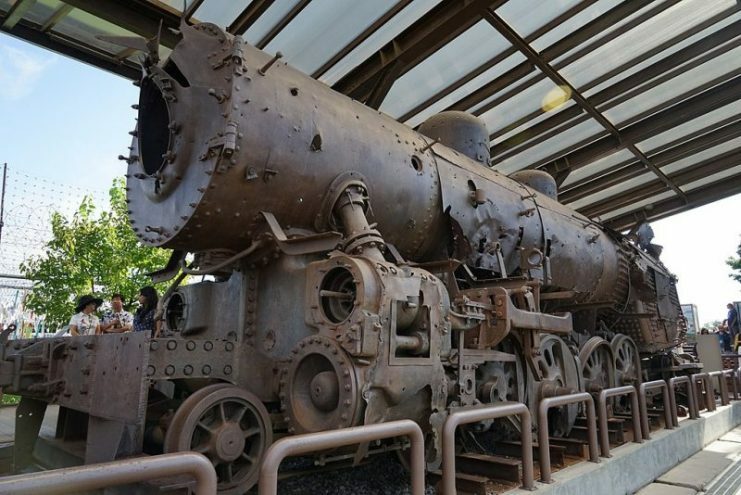 Among these symbolic elements of the Korean War is a steam-powered, coal-fired train, preserved at the Imjingak pavilion and on display for everyone to see. Its metallic frames are slowly being worn down by time, and the engines that used to roar with life have now been conquered by rust. 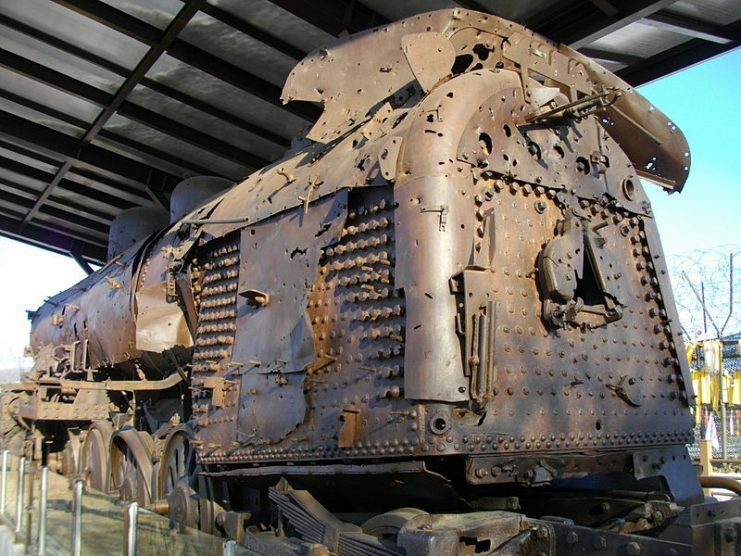 But from just a single look at this derailed locomotive, one can easily find evidence of the war from 69 years ago. A multitude of bullet holes covers its body. 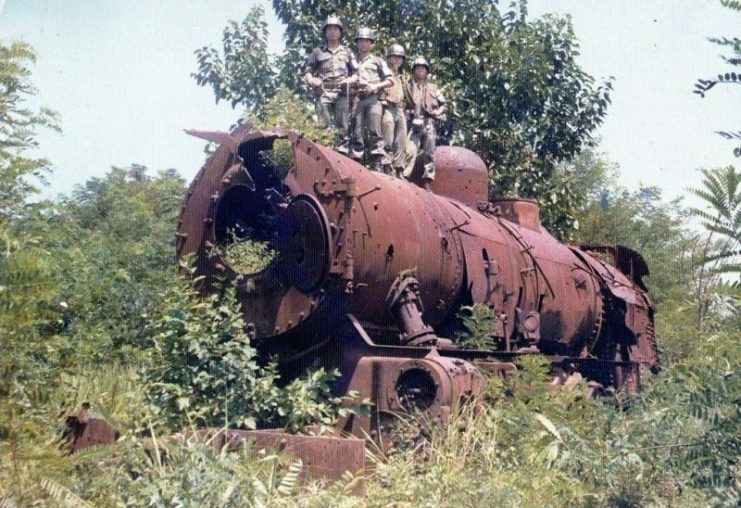 In the fall of 1950, just when the Korean War was turning up the heat, this train hauled troops, tanks, and ammunition to the front lines. It was, in fact, the last train to cross the Korean border. Driving the train at that time was Han Joon-ki, a Japanese-born Korean who had just moved to his home country before the outbreak of the war. 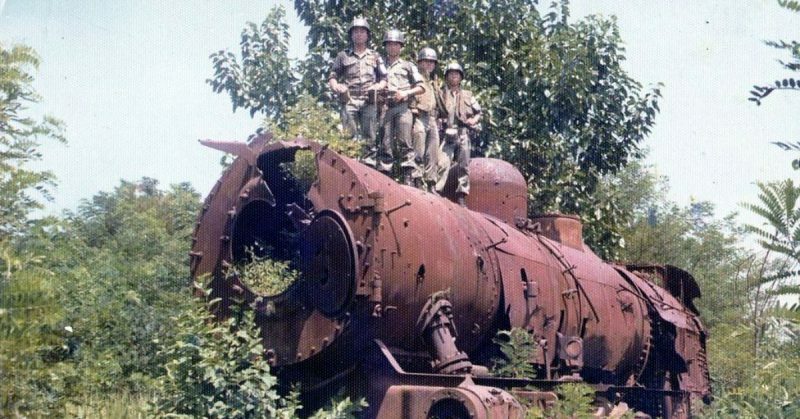 Having been separated from his train after the war, Han paid a visit to the DMZ in 2001, in a bid to have a closer look at what used to be his engine. Needless to say, decades after the war, the state of his train was not a welcome sight. The Korean War came just when the people of Korea were celebrating the end of a harrowing 35 years of life under Japanese colonization. Han had returned to Korea in 1945, aged 18. He had survived the catastrophic bombing of Nagasaki by the United States three months earlier. “It was so impressive to come back to my own country, the colonial period had ended,” said Han, according to Stars and Stripes. Clearly, he had returned to Korea with hopes of a better life facilitated by the aura of freedom that now existed in his home country. In February 1946, he was hired by the Korea National Railroad. This was how he got to ride the train that is now parked at Imjingak Pavillion. 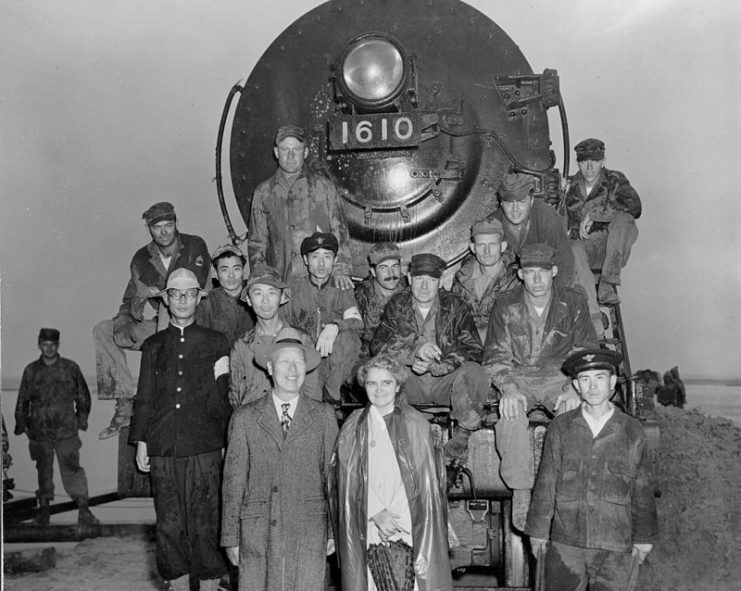 While he rode on the tracks for a living, war loomed over Korea. The United States had slowly begun to withdraw its army after facilitating the restoration of the Republic of Korea. But the newly liberated nation would soon split itself into two unfriendly counterparts, with Syngman Rhee elected president of South Korea, and Kim II-sung appointed the leader of communist North Korea. 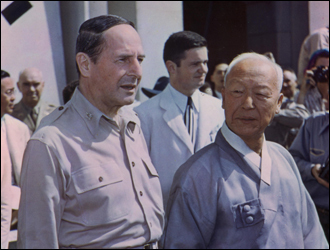 Syngman Rhee and Douglas MacArthur at the Ceremony inaugurating the government of the Republic of Korea. But the war had been fated to happen, and on June 25, 1950, the bloodshed began. Supporting the South was the United Nations (UN), while in the North, China and the Soviet Union gave their support. On one of his routine supply runs, along the tracks that cut through the Han River, he heard an explosion up ahead. He discovered the tracks were disfigured and was lucky enough to realize in time that the rail bridge had been destroyed by South Korean soldiers in a bid to halt North Korea’s advance. If he’d been any slower in coming to this realization, he said, his train would’ve plunged down the river, taking him with it. In the months that followed, UN forces launched a fierce campaign, pushing hard into North Korea. While Han made his runs to and from Pyongyang, several North Koreans jumped on his train in a bid to transport themselves to the south where they felt it was safer for them. Many fell off the train during this quest for escape as it journeyed southward. His last run across the North Korean border occurred on the night of December 31, 1950. He was on his way back to Munsan, from the North Korean city of Hampo. Because he was unable to find a place to turn around at Hampo, Han was running his locomotive in reverse. His train had halted at Jangdan station, a currently non-existent stop located in what is now known as Korea’s DMZ. Stepping down from the train along with two of his crew members to find out why they had been stopped, Han saw over 20 US soldiers, geared up with guns and ready to fire. Armed with machine guns, they unleashed a maelstrom of gunfire at the engine, completely destroying it. Although he was flabbergasted by the situation and heartbroken by the abrupt, tragic fate of his train, Han soon learned that the action had been fueled by fears that the train, originally seized from the North Koreans, might fall into the hands of the North Koreans again. 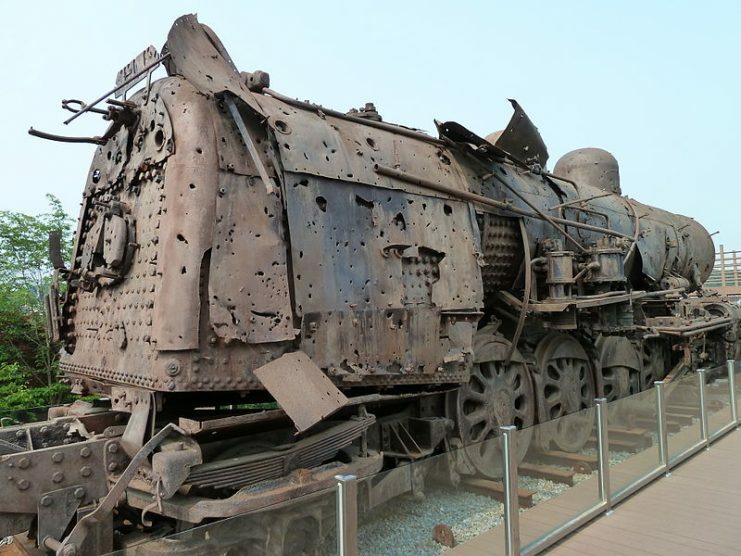 Riddled with over 1,200 holes and now consumed by rust, the train is to be found inside the Imjingak park, just close to the DMZ. It has been registered as a Cultural Heritage site since 2004. Since the end of the war, the bad blood has continued between the governments of the two sides, although the wish of people from both sides is for the reunification of Korea. But every now and then, people from around the world take a tour of Imjingak park which is increasingly becoming a tourist attraction. There, they can see the old, scarred steam-powered train and perhaps heave a sigh as they recall the story behind the scars on Han’s train.